Spot Satellite Personal GPS Sales in Leduc, Alberta Canada. 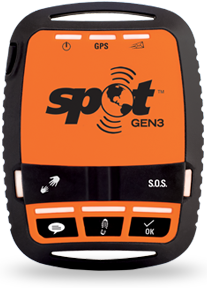 SPOT Gen 3 is a GPS-enabled satellite messaging and emergency communications device providing a simple way to help address lone or remote worker safety. Using 100% satellite technology, SPOT works well beyond the reach of mobile phone networks.